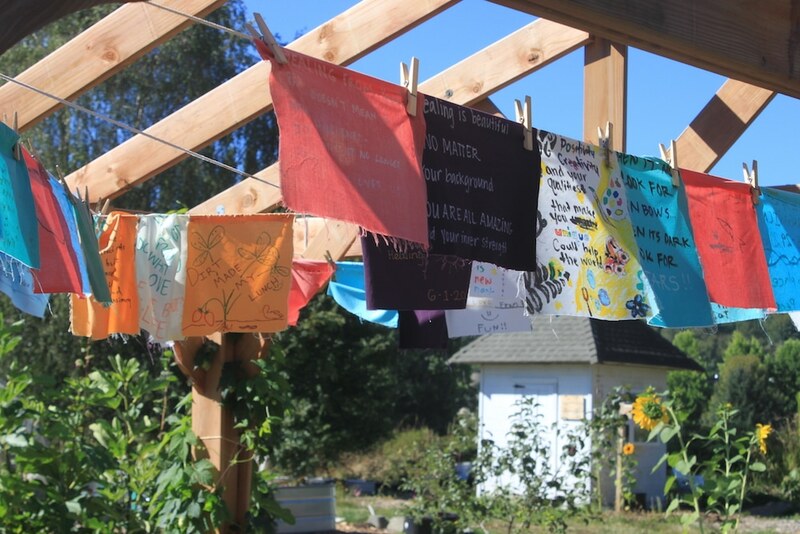 The Veterans Half-Acre Garden at 21 Acres is dedicated to self-reflection, community connections, and youth education and development. The garden fosters a deeper appreciation for eco-therapies in several forms – education, agriculture, habitat restoration, horticulture, or simply nature-based connections. Each season at the Veterans Garden offers a different experience and a break from the hustle and bustle of our daily lives. Come any time of year; during the late spring and summer, pick an apple or some strawberries, blueberries, and raspberries to enjoy while you visit. This is an excellent space for bird watching, plant identification, learning about military or veteran culture, and connecting with the community. 21 Acres partners with the Veterans Conservation Corps (VCC) to tend to the Veteran Half-Acre Garden. For more information about VCC, contact Jeremy Grisham at [email protected], or 206-402-1977. If you’d like to be involved with the garden, please contact Aaron Huston, Sustainable Project Coordinator, [email protected], 425-481-1500.